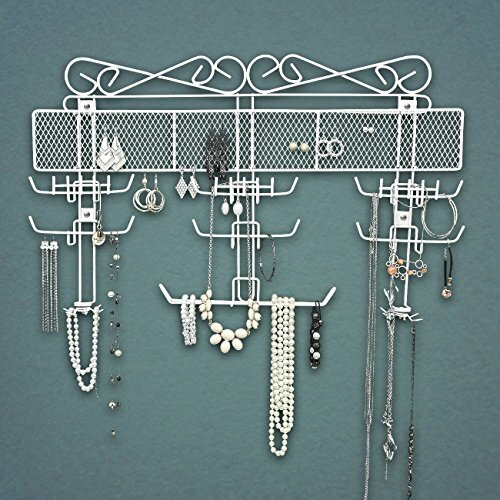 A splendid and elegant jewelry wall holder, this lovely and stylish product will beautifully decorate your house while storing your items of jewelry at the same time! 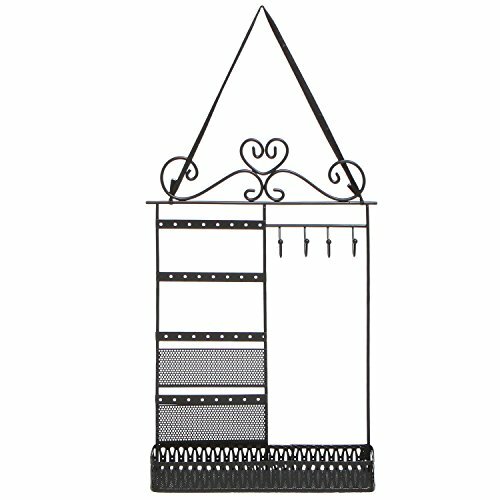 It has been finely crafted and designed out of sturdy and resilient metal and it has also been embroidered with a lovely and intricate scrollwork pattern for more originality! 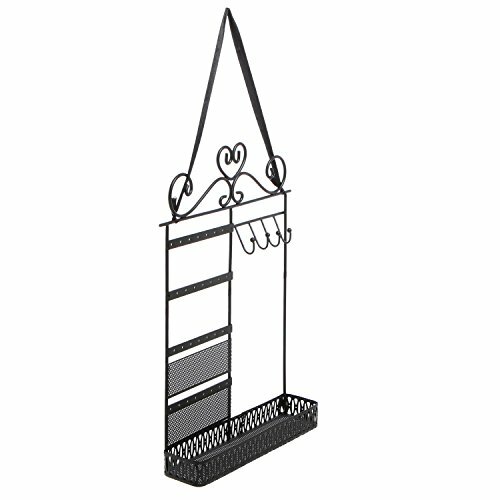 The product can be readily hung against a wall, a door or a cabinet door. It can also stand upright on its own on any flat surface. 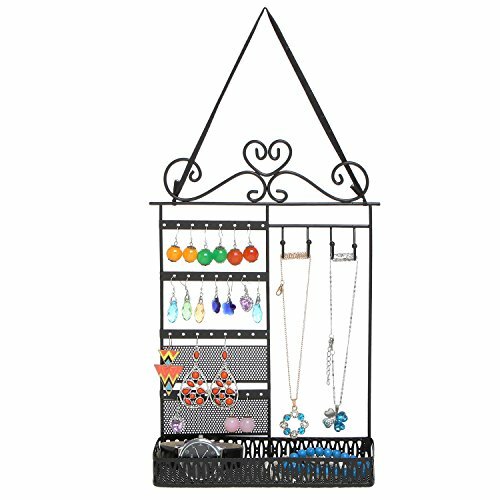 It is thus equipped with eight swirly metal hooks for your earrings and rings, four other earring hanger bars, two wire earring and ring organizers and one large and spacious storage basket shelf. 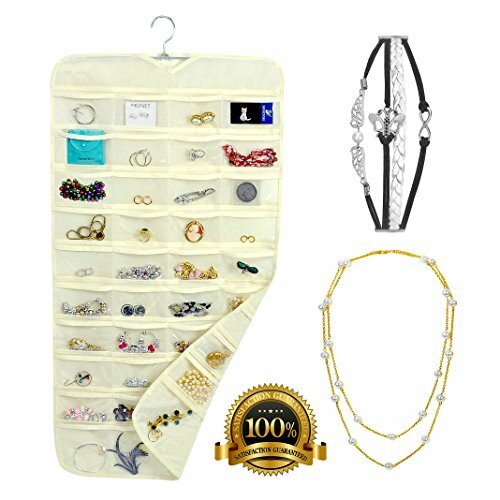 Given its various and wide range of compartments, you will be able to store pretty much any kind of jewelry in this hanger, rings, earrings, bracelets, brooches and necklaces! The hanger has also been painted with a dark and elegant black color. 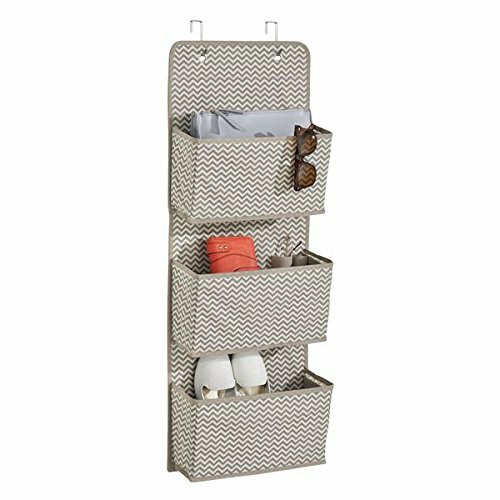 The bottom basket is roomy enough to store even items of make up and perfumes as well. 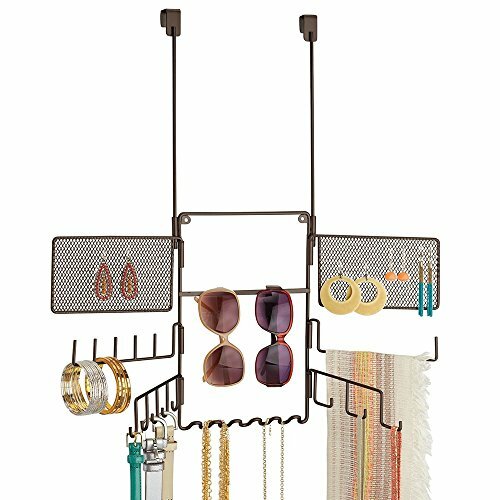 This way you will be able to easily keep all of your precious belongings in one place at all time and you will also be enabled to look at them anytime you want as the hanger provides a beautiful and stylish display of your lovely belongings! 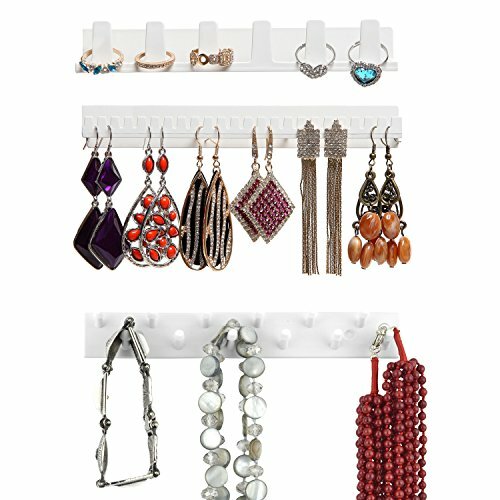 Get this wall hanger immediately and you will definitely see it is worth it! 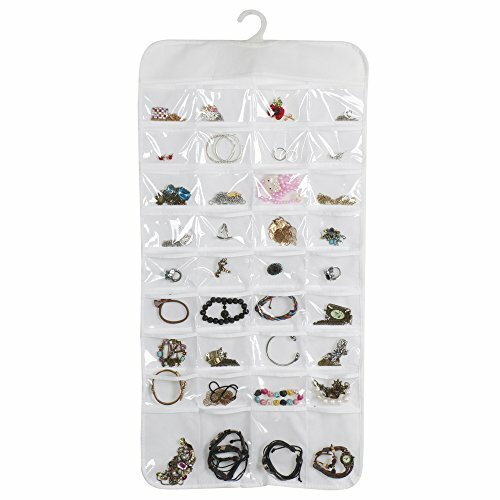 The measurements of this product are: 7.75 W X 11.5 H X 2 D (in inches) and its weight is 8 ounces.